A water conditioning system from RainSoft will improve the water you use every day in your home. Since 1953, RainSoft has maintained an unwavering dedication to producing the world’s finest water treatment systems while earning an exceptionally high level of customer satisfaction. 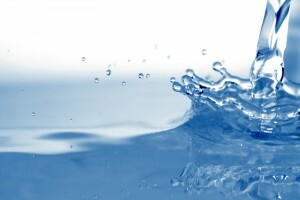 You can trust us to enhance the quality of the water in your home so that it is truly – and noticeably – better. In certain areas of the country, the water supply has traces of calcium, magnesium, bicarbonates, and sulfates. When water contains these excess minerals, it is often referred to as “hard.” Though generally safe for use, hard water can cause a variety of household problems, mainly related to cleaning. In addition, hard water can serve to shorten the useful life of water-using appliances and pipes. With a high-quality water conditioning system from RainSoft, you can overcome these issues by effectively softening, or removing the hardness minerals from, your water supply. Softened water is capable of rinsing soap residue more thoroughly, leaving your clothing, dishes, pots, sinks, bathtubs, showers, toilets, skin, and hair looking and feeling much cleaner. Softened water can create a full, rich lather with much less soap than hard water, so you will use less cleaning products. Your pipes and water-using appliances will last longer because they won’t become clogged with mineral build-up. To ensure that it is able to meet the precise needs of each customer, every RainSoft system is customizable based on such factors as local water quality and household size. What’s more, you can rest assured that your investment is a wise one, because the comprehensive RainSoft Limited Lifetime Warranty provides iron-clad assurance that your water conditioner will be the last system you ever need to buy. To learn how you can begin enjoying the benefits of a RainSoft water conditioning system, please contact a local authorized RainSoft dealer today. We’d also be pleased to tell you about our other fine water and air treatment systems.